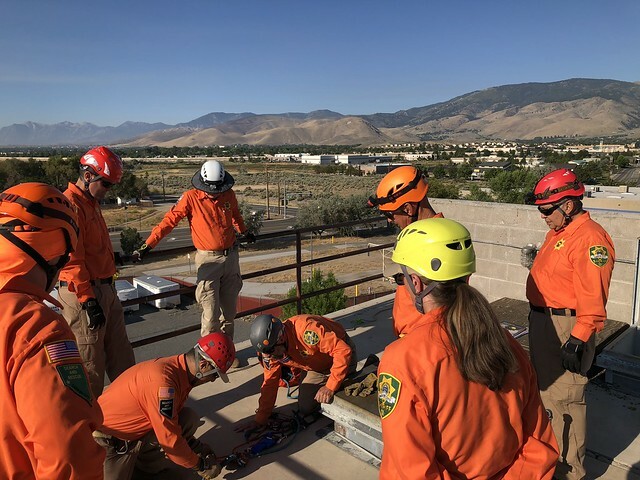 Last Saturday Carson City Sheriff’s Search And Rescue took an opportunity to hang out together on a beautiful morning. 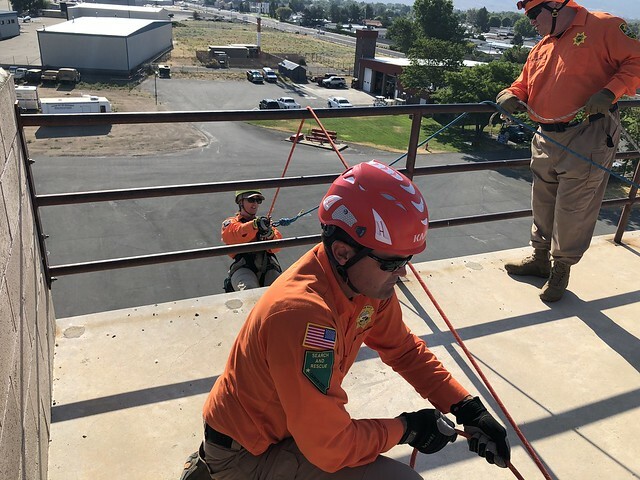 As the photos indicate, “hang out” in this case meant from the top of Carson City Fire Department’s training tower at Station 52. 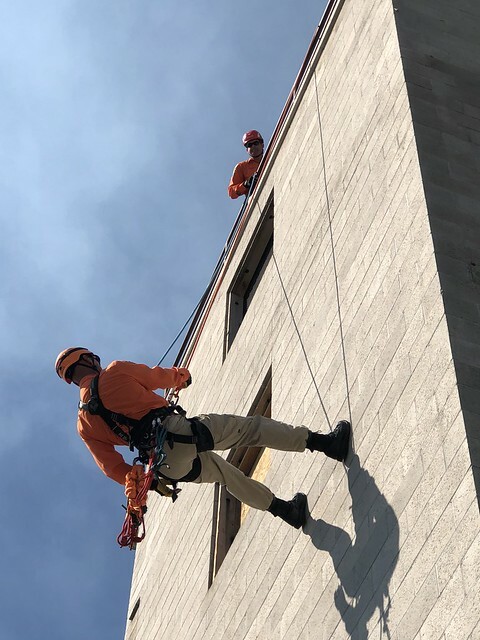 Performing rope rescue missions in an urban vertical environment is not typically something the Unit is called to do, but it is a great opportunity to expand individual comfort zones while putting extensive preplanned training to use. It’s fun too! 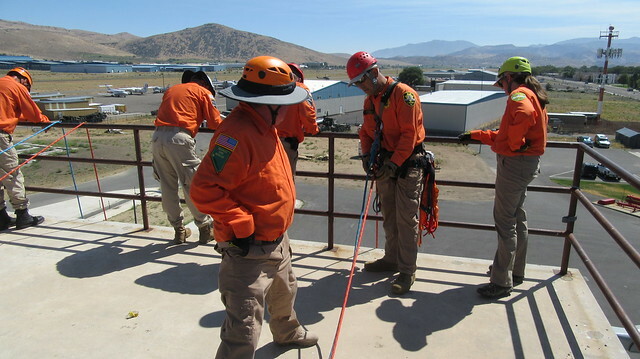 Using the skillsets of the Unit’s four certified Rope Rescue Technicians as the base for the rope rescue training plan, each year the Unit works through a building block approach handling knots multiple times a year, moving through anchor and anchor system set ups, mechanical advantage, flat and steep angle litter work, and then to full practical events such as the tower or steep angle litter work in the field. 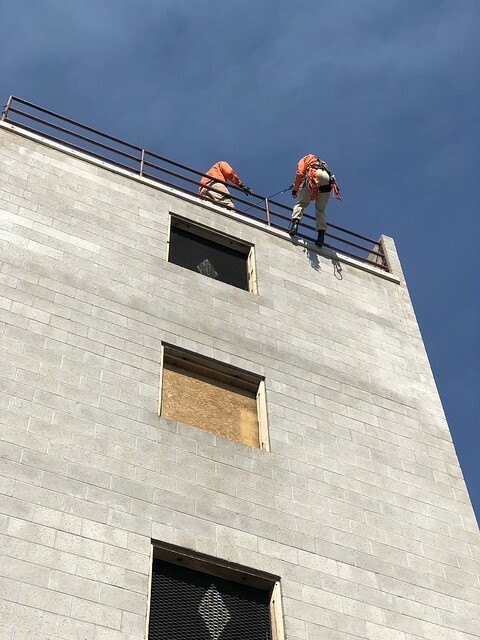 This approach allows those who have been with the Unit for a while to refresh their hands on skills in concert with the new personnel learning new skills. 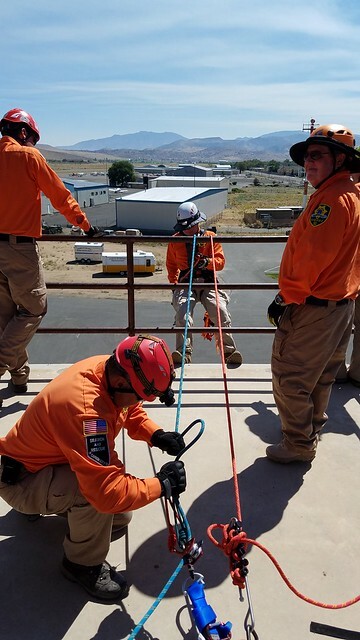 This approach also supports two intertwined facts; SAR skillsets are perishable so must be continually refreshed, and repetition is the key to learning. 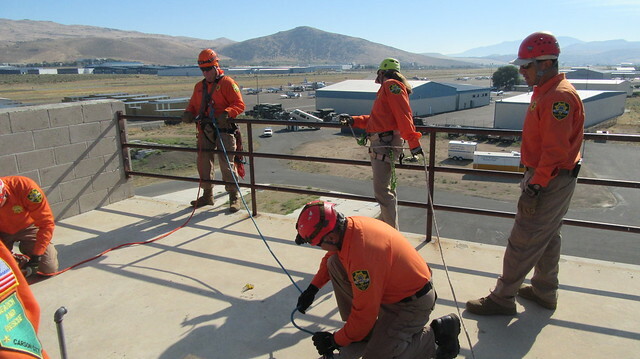 For this event the members built two anchor systems to support General purpose use (multiple persons rigged in the system) for the rescuer to be lowered and hauled by a team, and then for rescuer self-repel. 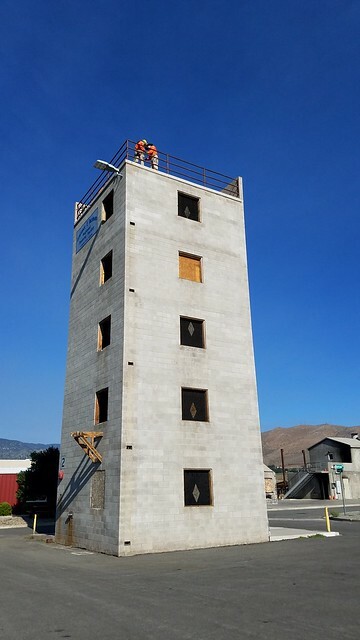 Due to the size of the Unit, the size and accessibility throughout most of the wilderness areas of the city, and a desire to be interoperable with Carson City Fire Department, the decision was made four years ago to adopt the National Fire Protection Association 1670 rope rescue standard versus a mountain rescue standard. 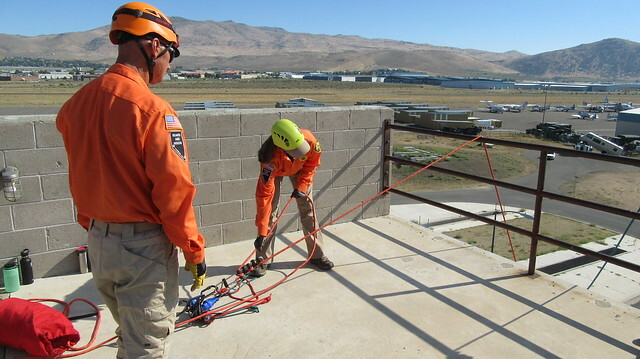 As such, Carson City SAR’s rope rescue rigs are heavier duty and redundant as compared to a mountain rescue approach where all the equipment might need to be packed in on foot for miles before use. 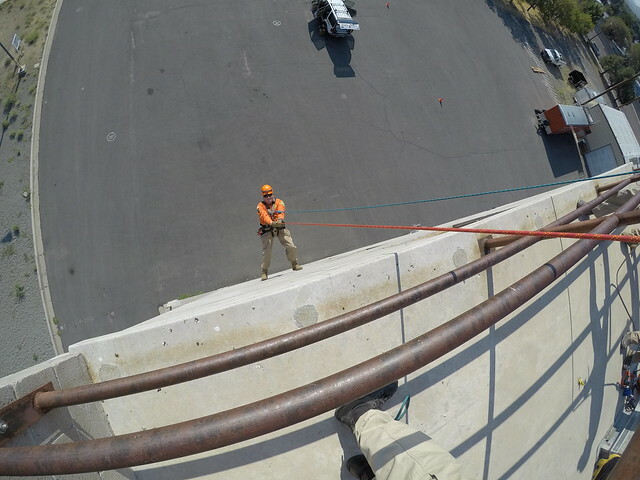 Under this standard, 1/2” static rope is used along with a belay for added safety in the steep angle environment. 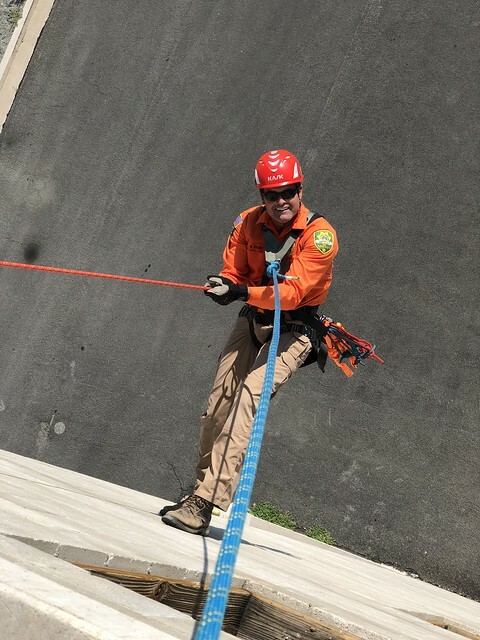 All in all everyone had a great time and we are all looking forward to additional rope rescue practicals!